Ideal creative spaces for established and emerging artists. We have several galleries, from an intimate space to a large gallery. 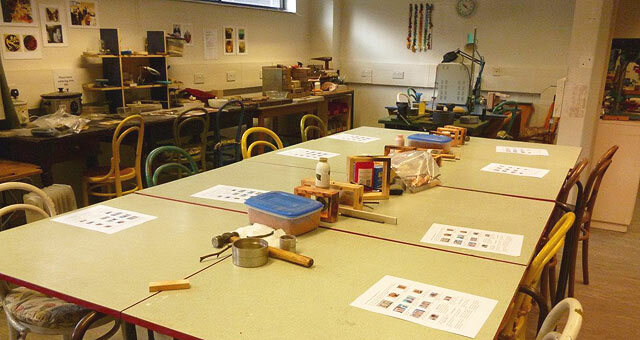 Professional space available for pottery/ceramics, screen-printing and textiles. 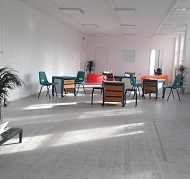 Large studio for hire for workshops, seminars and courses in painting and drawing. A large, well-lit dance space with sprung flooring, mirrors and ballet bar. 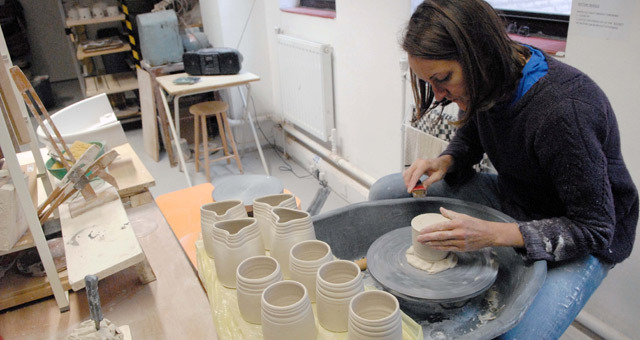 The Bridge Pottery Collective is a large, well-equipped and practical ceramics studio. The facilities are shared by the twelve members of the Collective, who all have knowledge of making pottery and a desire to learn, for most it can only be a hobby. For others, it has been away back into a creative working life. Care 4 Carers provide a range of services to carers in the city from one to one support, training, information, regular carers newsletter and events. 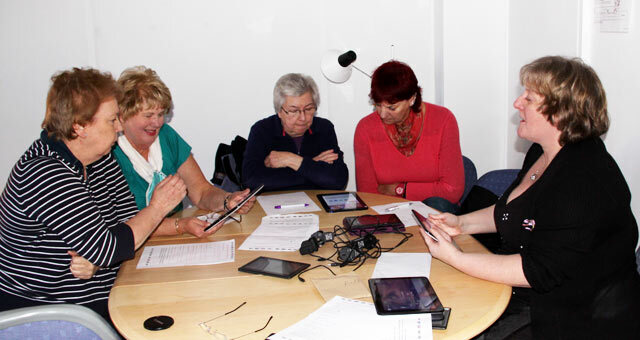 We work with carers of all ages and in all caring situations. The Edinburgh School of Icon Painting was created to teach egg tempera and icon painting to people of all possible backgrounds. Our aim is to introduce the world of Orthodox iconography through the practice of the technique and learning the tradition. 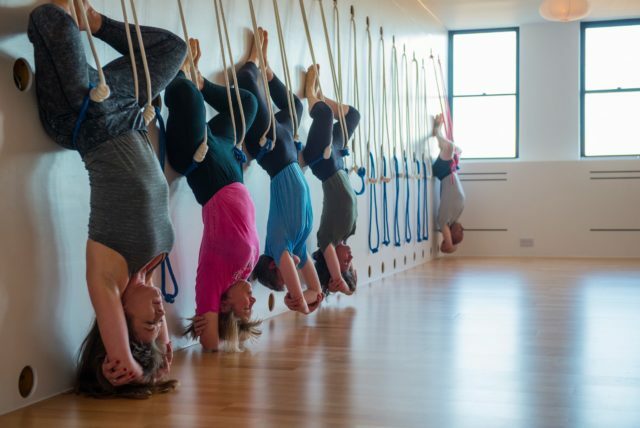 This designated yoga and meditation room has been fully equipped with a sprung floor and rope wall, to create a wellbeing space in the heart of the building. Various teachers, groups and practitioners have been gradually joining forces under Lucy Brown’s guidance. 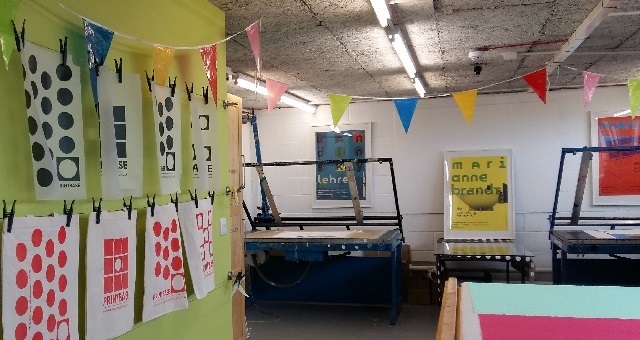 The Edinburgh Design School is an independent design school specialising in pottery/ceramics, textiles, print and millinery. Our aim is to re establish and promote design and craft disciplines and we offer classes and courses, workshops and professional industry focused talks. Our mission statement is to introduce judo to children and adults of all ages and abilities in a fun and dynamic way, offering all members avenues of opportunity through which they can enjoy a life-long enjoyment of judo. Edinburgh Judo delivers the very best coaching to all our members within a safe and accessible environment. At ESM our goal is to instil a love of learning in each student. 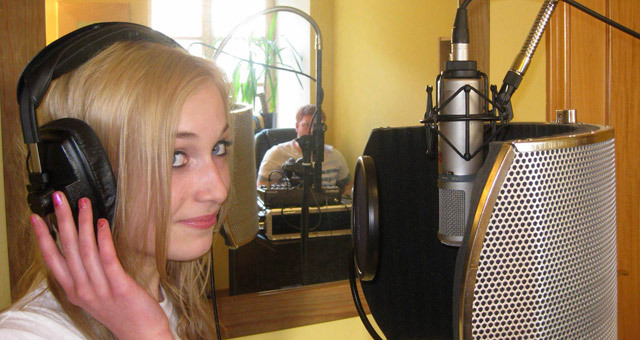 We are a team of enthusiastic and dedicated teachers with an artistic and hands-on approach to teaching both theory and practice. Originally the British Gas Lapidary Club formed in 1971, we became Leith Lapidary Club in 1995 and moved to St Margaretís in August 2014. We have a wide variety of facilities and equipment for cutting and polishing stones, silver work and enamelling, including two lovely new kilns. 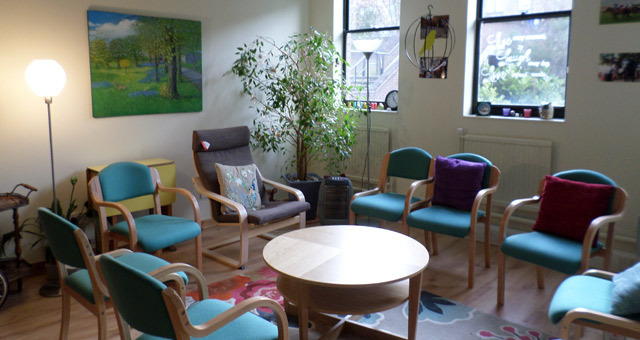 Link Up Women’s Support Centre aims to provide a safe caring environment in the community for women who suffer from mental health problems and social isolation. They enable our participants to achieve their full potential through providing support, education, confidence building, health education and health promotion. We are Upward Mobility Project. 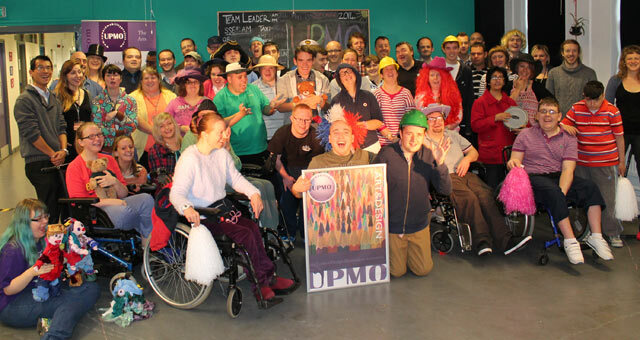 We believe everyone, regardless of ability, has the right to meaningful opportunities for lifelong learning. 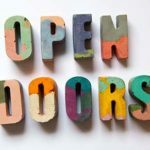 Our mission is to provide it in a safe, supportive environment for as many people as possible across Edinburgh and the Lothians. We hope to see you around the building, do say hello. 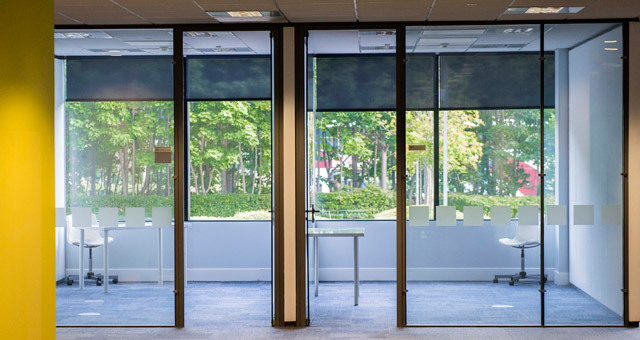 In the North West of Edinburgh, 525 Ferry Road is a modern 100,000 sq foot office building providing open plan and studio spaces to creatives, start-up companies, social enterprises and charities. 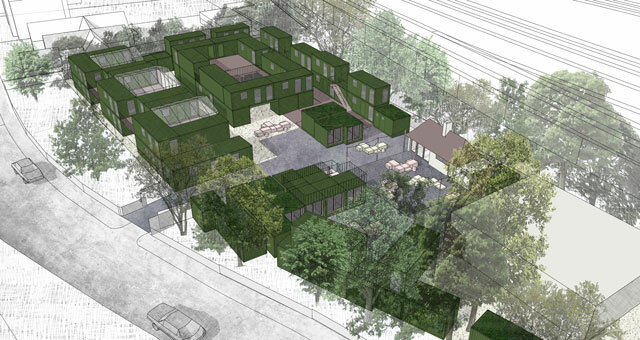 A modular cabin village in the heart of Portobello/Duddingston. 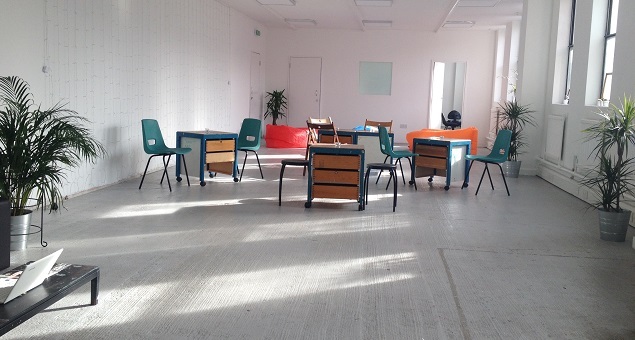 A hub for creatives, health and wellbeing groups, service providers, social enterprises and small start-ups. 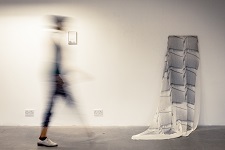 We also have an exciting roster of exhibitions and residencies taking place over the next few months in our gallery spaces. See our EVENTS page for more info.